Well, the results are in and they aren’t pretty. You might remember I did a little poll last month, asking readers to suggest which Etape du Tour I should do next year. Unsurprisingly, since ‘both’ was on the poll, 65.63% of my blog ‘friends’ went with that. 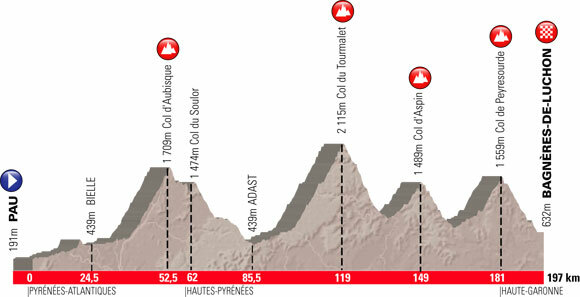 12.5% suggested I do only Act Two (in the Pyrenees) and a measly 9.38% wanted me to enter only the Alps race (Act One). Interestingly, 12.5% came out as ‘other’, which I’d love to know about, but there is no indication as to what it could mean. Therefore, at exactly 12 noon today I (and about 14,000 others, I gather) started the long process of getting registered for both long, arduous, and just plain scary races. I think I was lucky to be in there quick because it only took 30 or 40 minutes of windows crashing to get mine done. Others weren’t as fortunate and the Etape server completely crashed sometime around 2pm. Question: haven’t these people been running the Etape for decades and hasn’t it always been extremely popular? I don’t need any answer, by the way. I doesn’t seem to be too late to get yourself signed up, by the way. My last count says they aren’t full yet. What are you waiting for? This entry was posted in Cycling and tagged 2012 Etape du tour registration. Bookmark the permalink. Thanks for the sympathy. You could still join me…it’s not too late! We have similar problems here, but they are generally reserved for running races like the Marine Corps Marathon (25,000 people) and the Army Ten Miler (15,000 people). If you don’t register the day they first accept entrants, you won’t get in. Good luck – you’ll be passing people with lower bib numbers before you know it! I can imagine, and I’ve heard stories about such things like big Ironman competitions, etc. Luckily cycling has not completely gone viral yet. There are still places left! I’m determining my goals now for next year and ‘bib passing’ will definitely be one of them. I think my photos will look a little different next time around, though. Instead of ‘7000’, ‘6000’, ‘5000’, I think we’ll be looking at ‘1900’, ‘1899’, ‘1898’..if at all. I’ll be with you all the way, metaphorically you understand….. I wonder if you could metaphorically give me a shove on my climbs..? If your x-axis and your y-axis on the elevation charts were to the same scale, it wouldn’t be anything like such hard work to go over the hills. I suppose it’s totally inappropriate for me to suggest you take it slow and easy, pretend you’re touring? Skip the panniers, sag-supported touring, of course! Hey, that would be just no fun at all …..you’ll love the Pyrenees, just remember to look up once or twice. If I don’t look up I’ll at least aim the camera at things and shoot. I can enjoy the scenery in the comfort of my own home later. There really is a lot of up, so I appreciate the help, Steph. More seriously, good on you for going for both of them! I can’t even imagine what it feels like to put sooo much climbing into such a short number of hours… inspirational! Thanks, Suze! It feels something like the first few minutes up a steep climb on the touring bike, but for 5 to 8 hours. 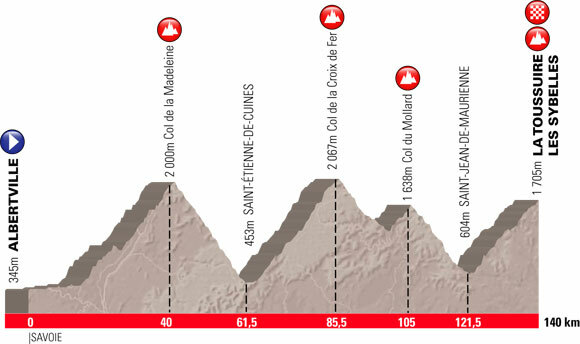 Still, I’m looking forward to it even more than this year’s Etape. Looking forward to the written word regarding training and The Events. Thanks, rlhoover. If I survive you’ll have plenty of words, don’t fret. Stop talking….. start training !!!! Let’s hear about your workout regiment and scehdule ! I’m in my off season, which means regimented slacking off. Fret not, Coach Rob is in the background, brewing a training schedule that will…what were his words..’knock my socks off’. I’ll slack while I can. Yea – Enjoy the maintenance part of the year, pain and suffering is just around the corner. I bet you can hardly wait after all this easy riding you’ve been doing. We were kind to you last year as it was your first season of racing.